Dr. Kathryn Crum has extensive orthopedic experience, especially in the area of athletics. 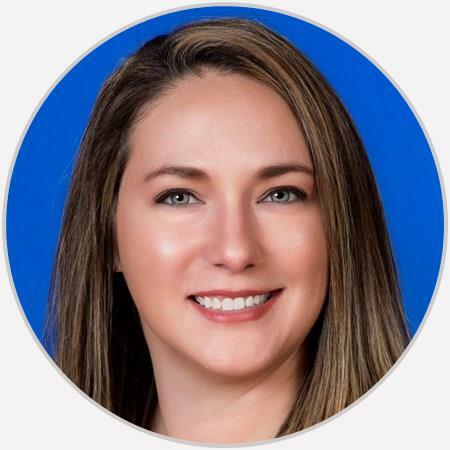 As a born-and-raised Floridian, she is excited to serve her community and looks forward to providing comprehensive care for all her patients. She didn’t know anything she was talking about so she said that she was going to refer me to someone else. I was already an established patient at this office. Very knowlegeable, friendly , polite . She knew what was wrong and how to improve on it! We thanked the Lord for answering our prayers for answers.! Dr. Crum was fine in of herself however the appointment was a waste of time as she doesn't do the type of surgery I need. Don't understand why I was referred to her. Very friendly! Explains each step of the way. Hardly feel the shots in my knees! Professional yet easy to talk to. Don’t feel rushed when I am there, she listens and gives options for care and treatments. Impressive professionalism and knowledge. Attire could be a little more professional.